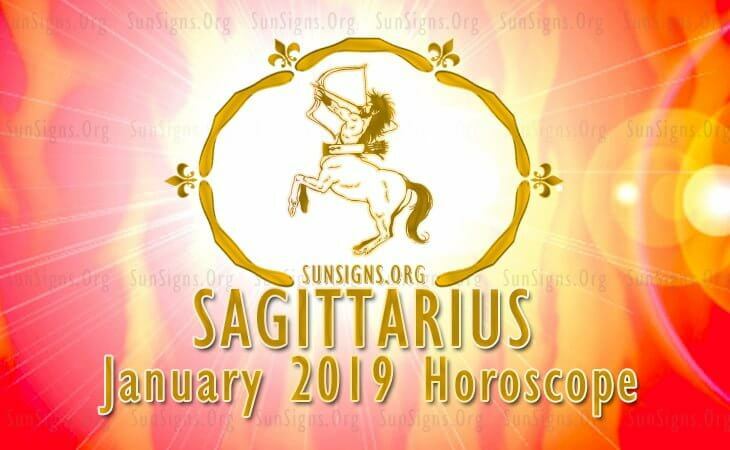 Sagittarius January horoscope for 2019 is evident in the fact that you will be successful in almost all aspects of your life such as relationships, career, and finances. But it should be clear that family comes before all the other aspects of your life. Emotional outwardness will also be a priority this month. The Sagittarius zodiac sign will be active with all events and occurrences happening in the family. You do not want to be left out in the affairs that directly or indirectly affect the relationships of your family. Career development is essential as any other thing so while you spend time with your family, you will need to lay down plans for future professional prospects. As per the Sagittarius compatibility, the relationship between you and your family members will be beautiful. Your spouse will feel loved every single day this month because you are determined to make him or her think so. The Sagittarius 2019 love horoscope predicts that singles will have many romantic escapades where they will have to choose the person whom they want to spend the lives with. Sagittarius children will be something for couples to think of this month. Based on the zodiac signs 2019, Sagittarius will have an excellent time with his or her family. You will be able to spend quality time with family and learn more about your children’s characters. This month will be full of happiness and fun for you and your family. Concerning health, the Sagittarius 2019 horoscope will enjoy good health until the end of the month without any form of problems arising. Therefore you should take it upon yourself to maintain the good health and stay fit. The Sagittarius horoscope 2019 career foretells that this month you will not focus more on your career since it is in the background. You will, however, ensure that you plan on how to invest smartly in the future. Based on the Sagittarius January 2019 forecast, your financial situation will be excellent for the whole month since you saved up to cater for your family even while away from work. As per the 2019 monthly horoscopes, education this month will not be so good since the stars are not out to bless you. This should however not bring you down since you can seek extra help from tutors to achieve success. As per the Sagittarius 2019 January horoscope, you will undertake a lot of journeys with your family, exploring new places and bonding to maintain the peace and harmony that has been subsisting for a while. Professional travels will be put on hold until further notice. You may see Rashifal 2019. When will i find my true love or soulmate?